Electricity costs are continuing to rise and they take a big chunk out of your school budget so it is essential to find effective ways to reduce these bills to ease pressure and free up precious resources. Here are some quick, easy wins for your school’s energy-saving agenda. 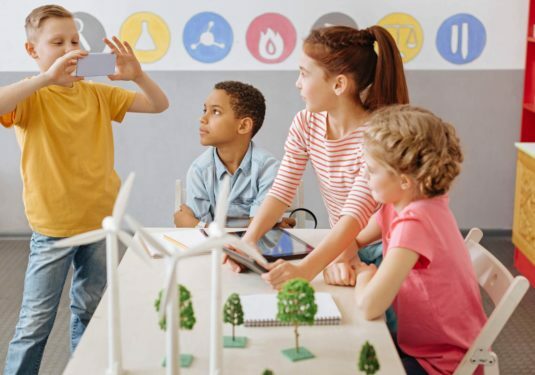 For any bill-cutting initiative to be effective in your school, you will need a committed energy team who will take a long-term view, devising an action plan based on an energy audit of the facilities. The team – teachers, caretakers and pupils – will become the flag-bearers for the energy-saving policies in the school. They will focus on the key areas of energy use: lighting, heating, computing and catering. School pools would also be a focus if in place. The team will pull together data on which equipment have the biggest energy consumption as well factors like weather patterns, pupil numbers and active classrooms. Make sure all heating and cooling controls are set to the most efficient temperatures. The recommended temperature for classrooms is 18°C. It’s important to switch off vending machines dispensing non-perishable items when the school day ends and it’s good to use a seven-day time switch for this. It costs around £120 a year to keep these running all the time but by switching them off out of hours there are savings of up to £85 to be gained annually. Remember that PCs and monitors use a lot of energy when switched on but not in use. All computers in the school should be set to go into “hibernate mode” after 10 minutes of non-use, so they consume no energy. Encourage staff and pupils to manually turn off the monitors when these are not being used. Monitors are responsible for almost two-thirds of a computer’s energy consumption so if they are on 24 hours a day, each school PC will cost £25 a year to run. Make sure that monitors are at least switched off between classes when the school day ends, particularly on Fridays to avoid wasted energy over the weekend. Natural light should be used instead of classroom lights wherever feasible and studies show pupils are more productive working in natural daylight. The amount of available natural light is determined by the weather and the way the blinds are set. 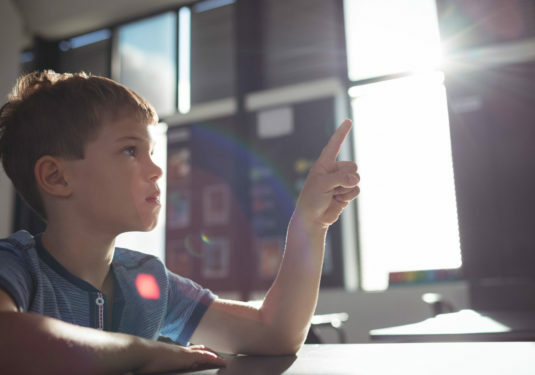 Encourage teachers to fully open blinds before classes start and check at the beginning of each lesson to check on the amount of available light. That way they can make adjustments and choose the best lighting for their pupils. Also, make sure that windows and skylights are cleaned regularly to allow for maximum natural light. Your school should have a policy of reminding staff and pupils to play their part by turning off lights when leaving a room. This could cut lighting costs by up to 15%. LED lights use up to 85% less energy than traditional bulbs. They improve the quality of light and last far longer than older types. In fact, the EU has now banned incandescent and nearly all halogen models now so the choice to move to LED is easier. LED replacements for fluorescent, halogen and incandescent lamps can run with no maintenance for more than a decade while the costs of purchasing them are repaid through the energy savings made. Time switches can be deployed to reduce the costs of external lighting and also used to control water boilers, as well as the vending machines mentioned above. It’s important to ensure that electrical devices and appliances are turned off throughout the holiday times and also be aware that many devices in standby mode continue to consumer electricity. The school’s energy team would collate a full checklist of electrical equipment – photocopiers, lights, printers, PCs, projectors, vending machines, water heaters, TVs and so on – with each device checked before the start of the holidays. Check that your school is on a tariff package that is best suited to your energy usage. You can make significant savings by switching either to a different package offered by your supplier or by choosing a new utility company.